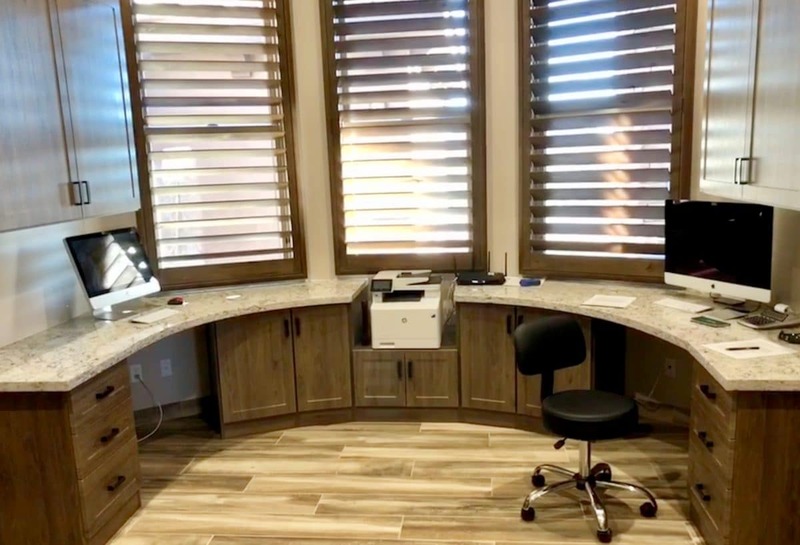 Whether your office is a designated space for running your business, or just a nook for paying bills, you deserve more than an old desk and an uncomfortable chair stuffed into the corner. 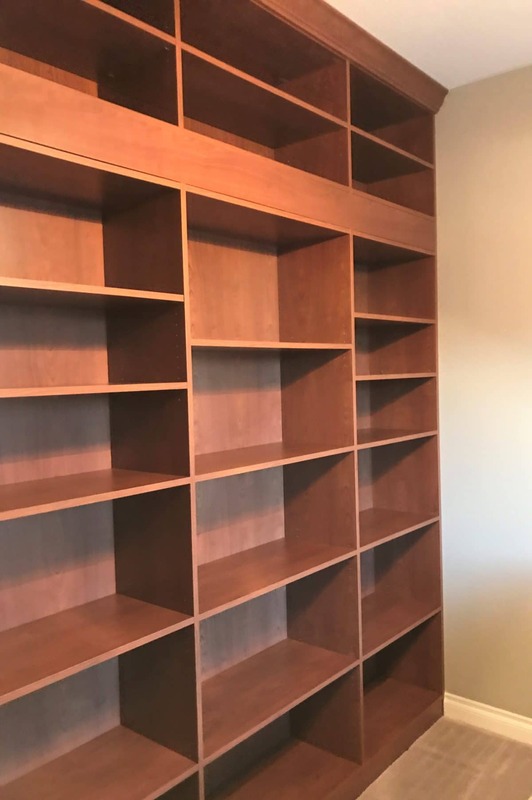 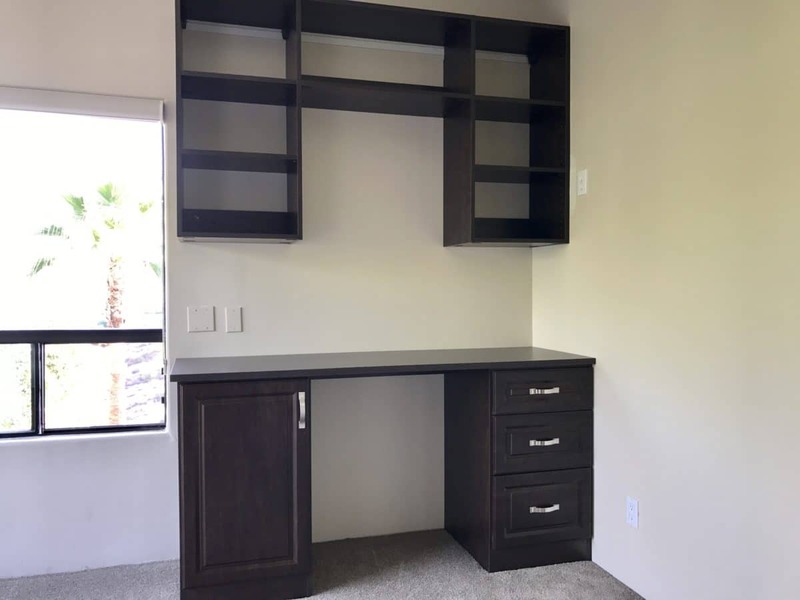 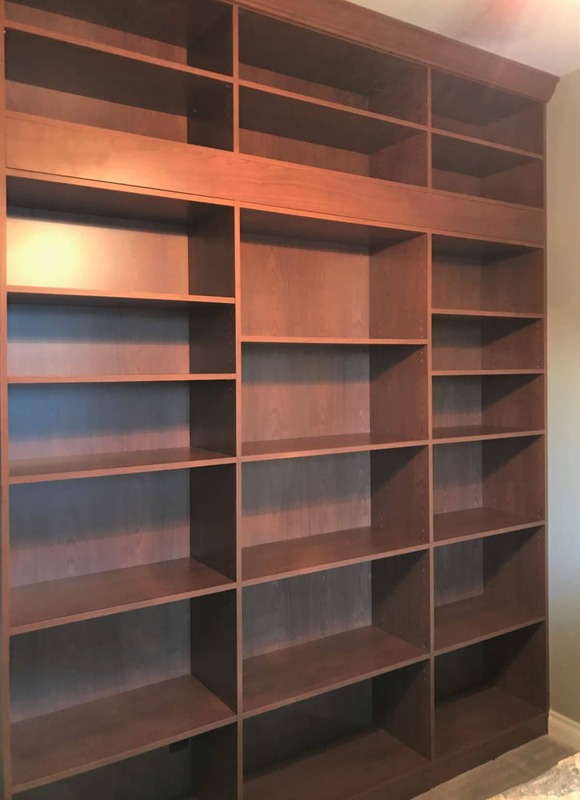 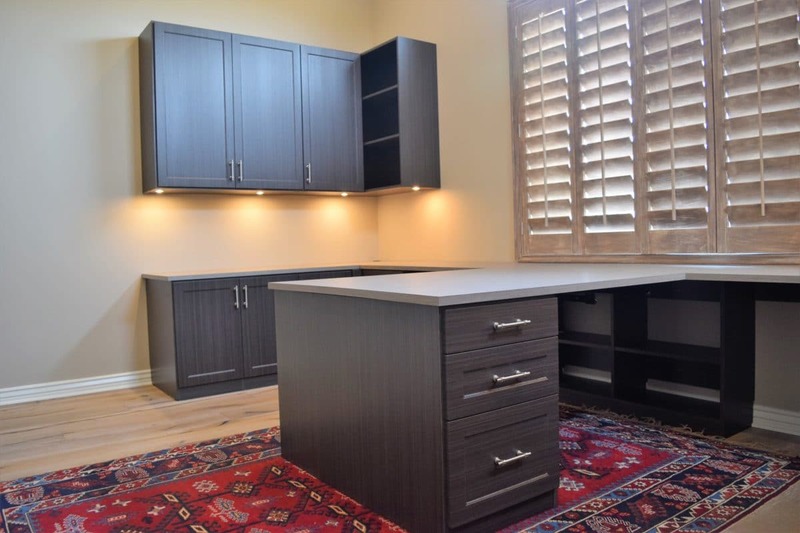 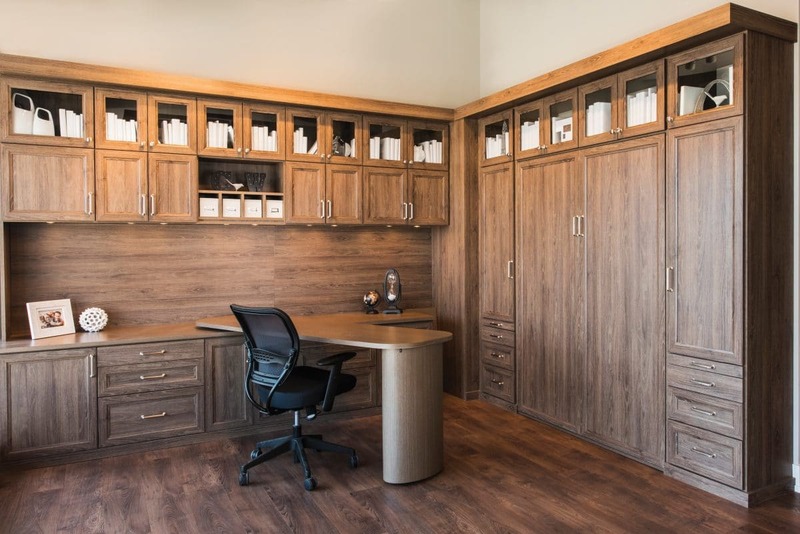 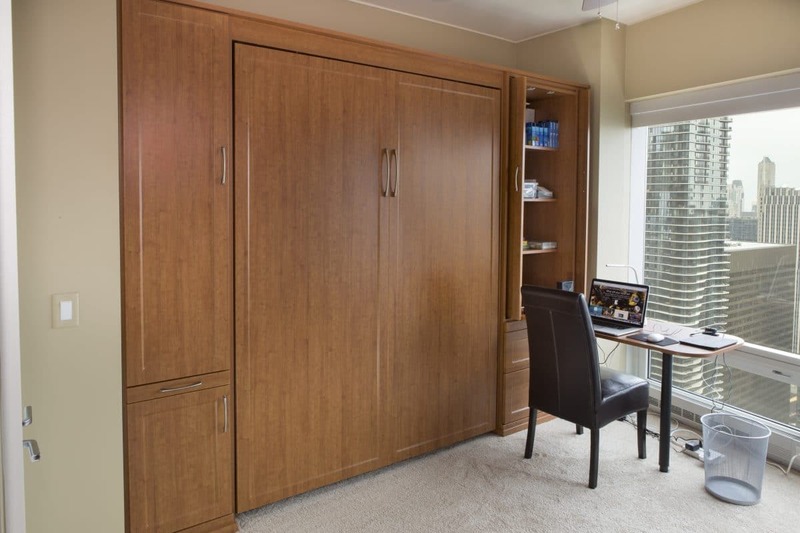 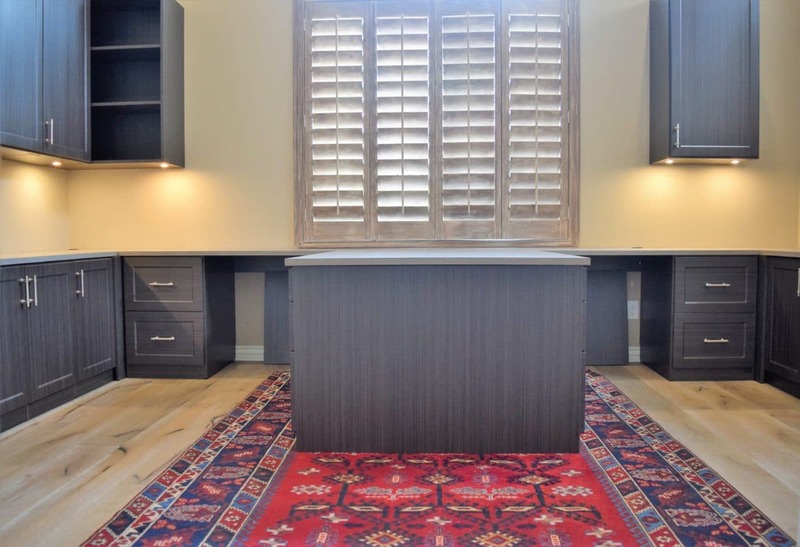 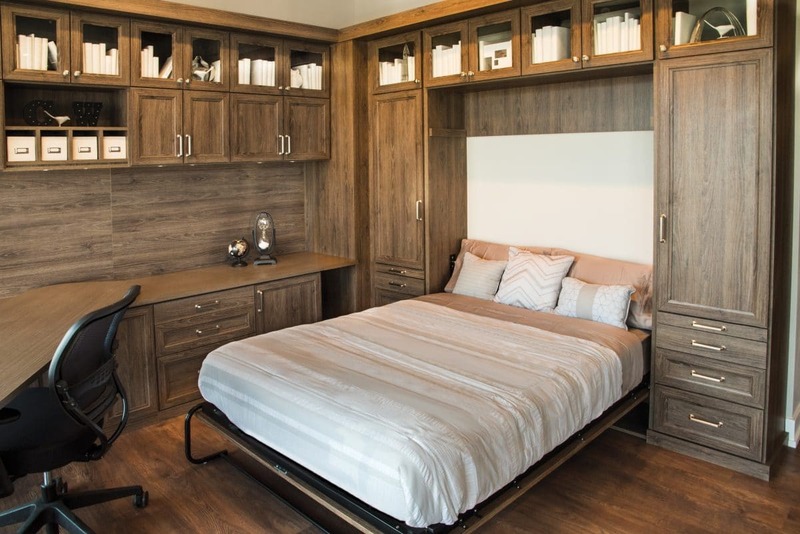 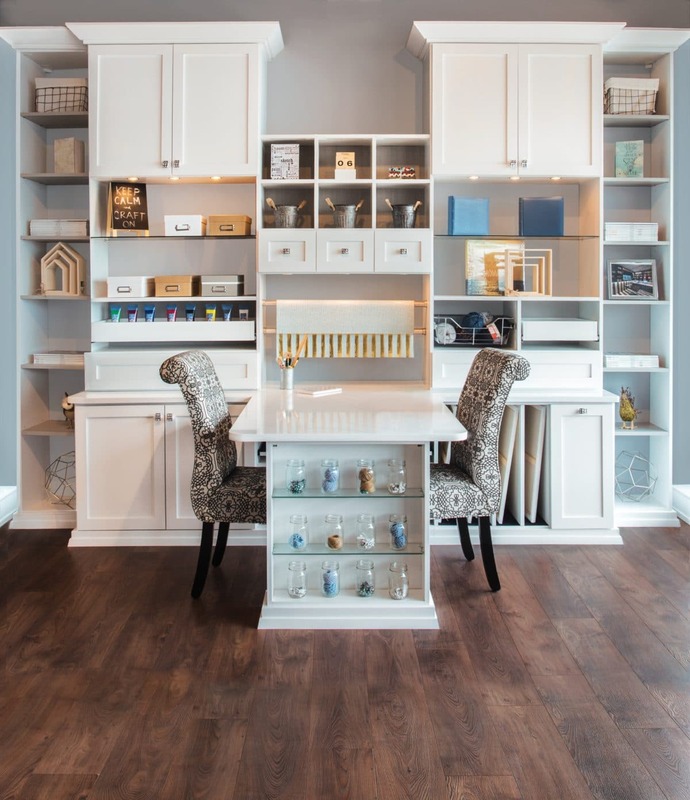 If you are looking for a creative, custom design for your home office or you need cabinets and shelves for your commercial office space, Austin-Morgan Closets can help. 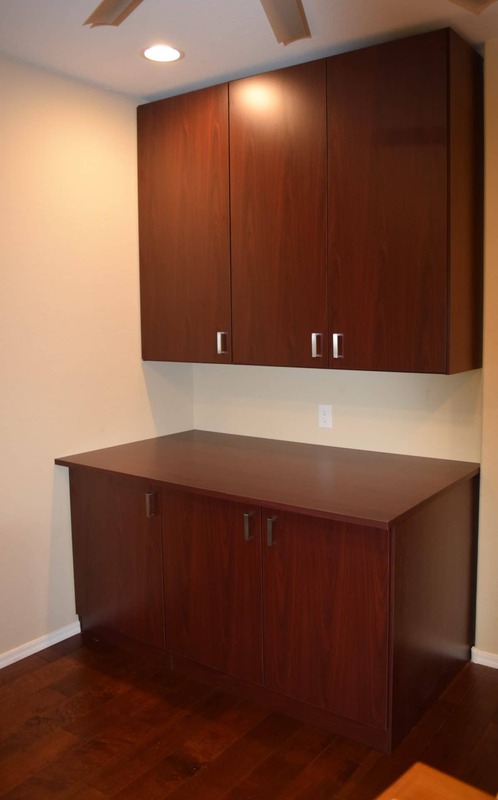 We take pride in providing excellent quality at affordable prices. 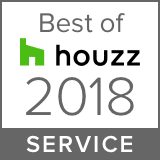 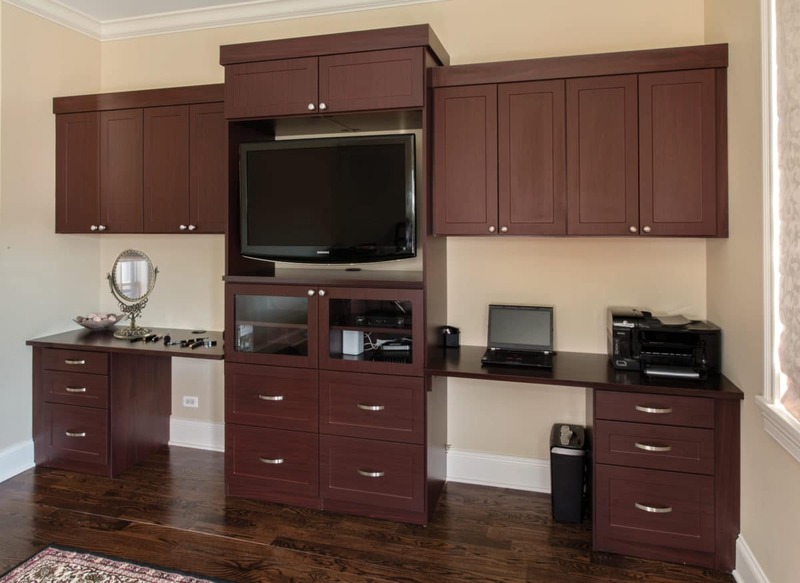 Our design process and 30+ years of experience ensure that your every need is taken into consideration. 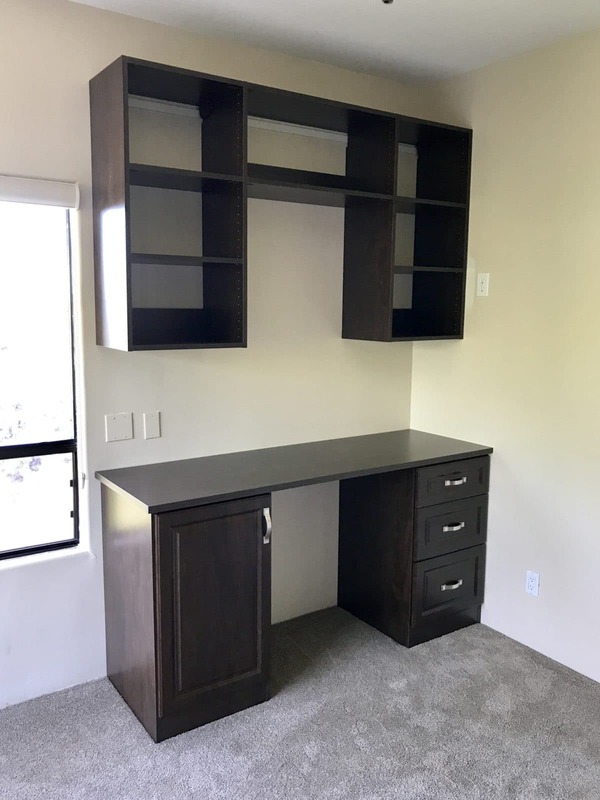 We examine your workplace, evaluate your typical workday task list, take exact measurements and suggest elements to increase your productivity and storage space. 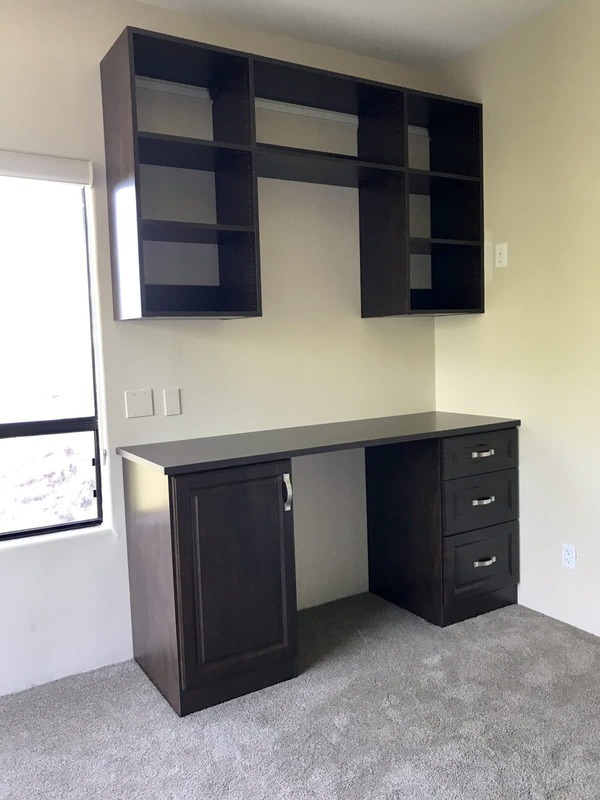 We can design and build an office desk in any shape or size. 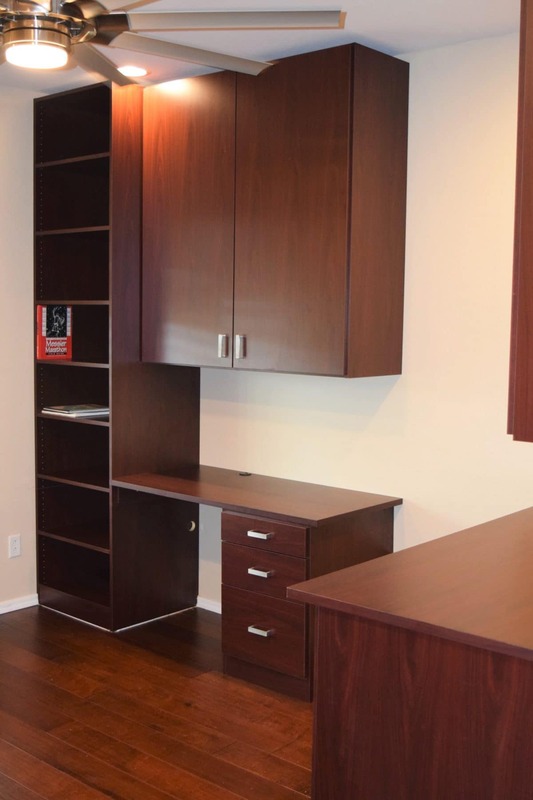 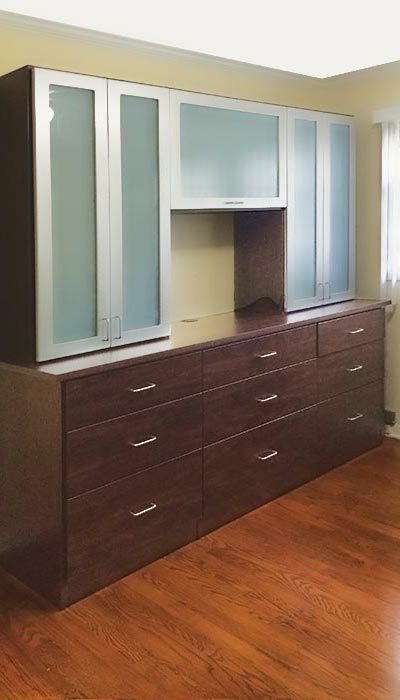 We can build and install filing cabinets, cubbies, shelving, drawers, bookcases, LED lighting, media storage and more. 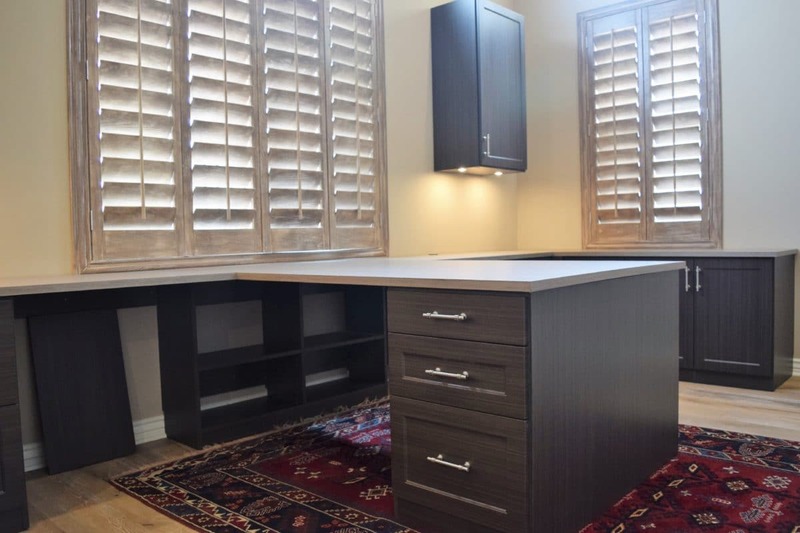 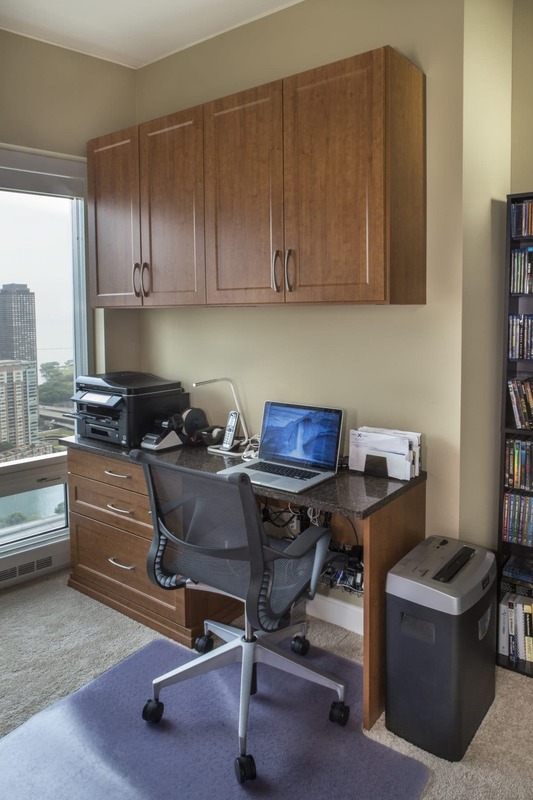 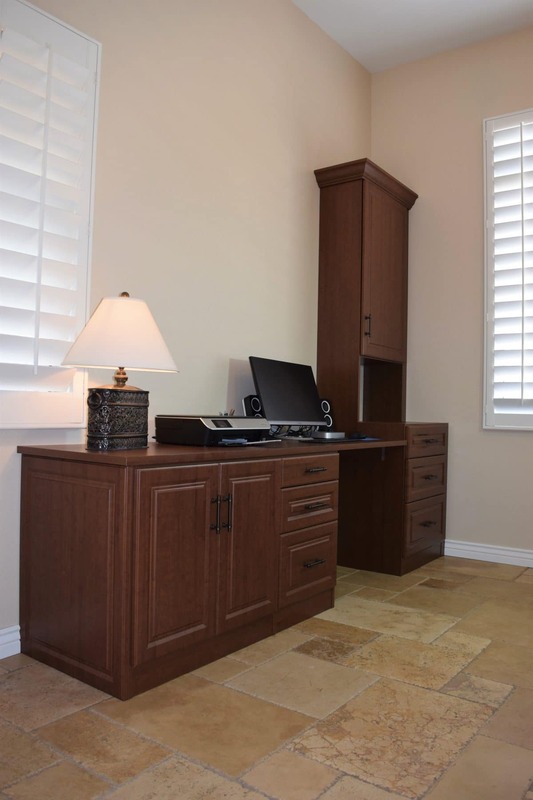 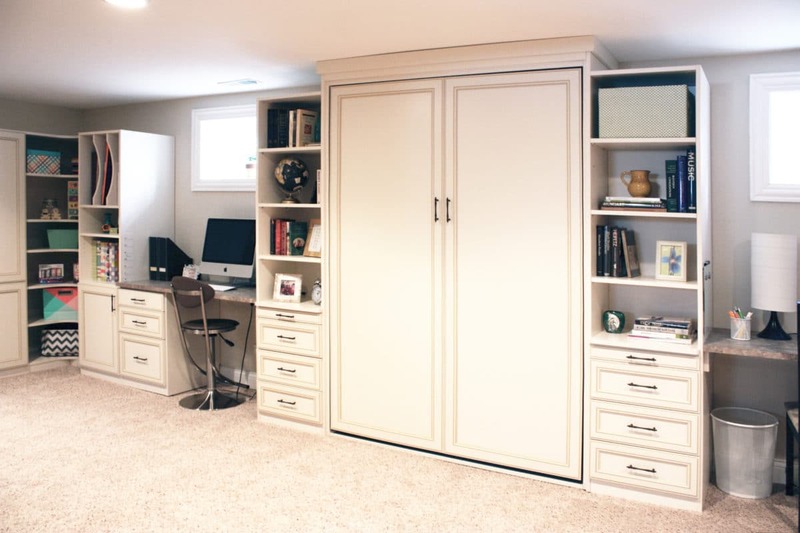 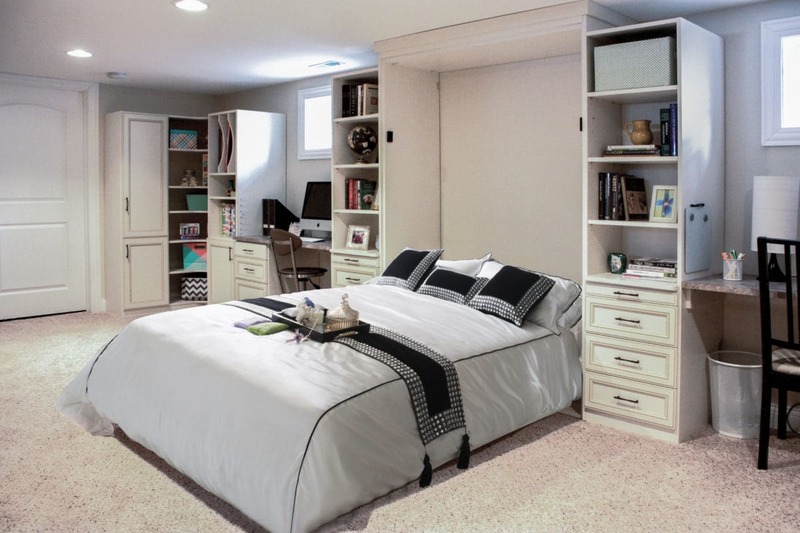 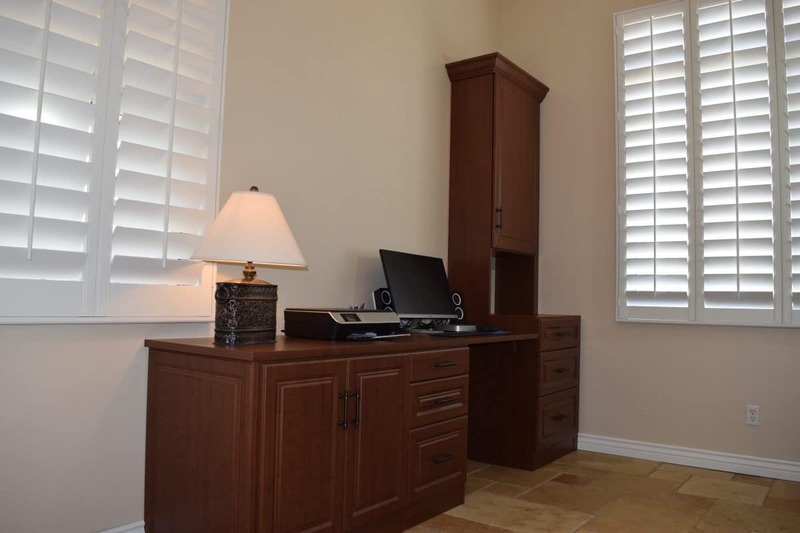 We Customize Your Home Office for You! 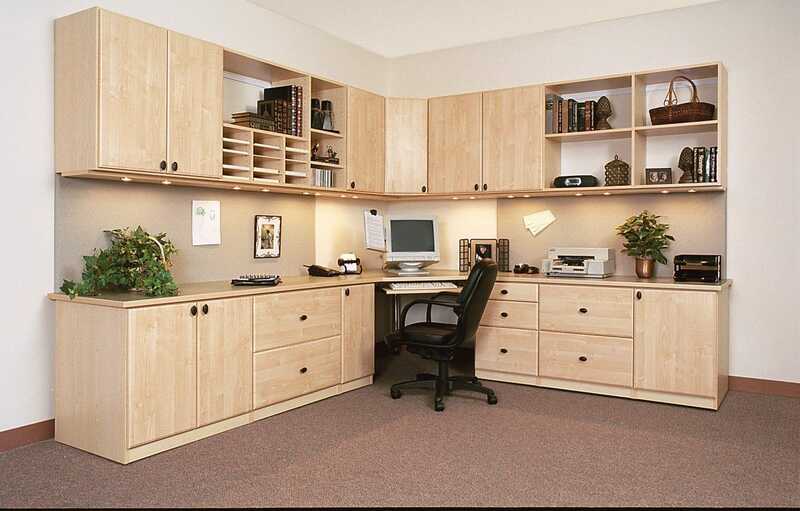 Austin-Morgan Closets can also help with your commercial office space. 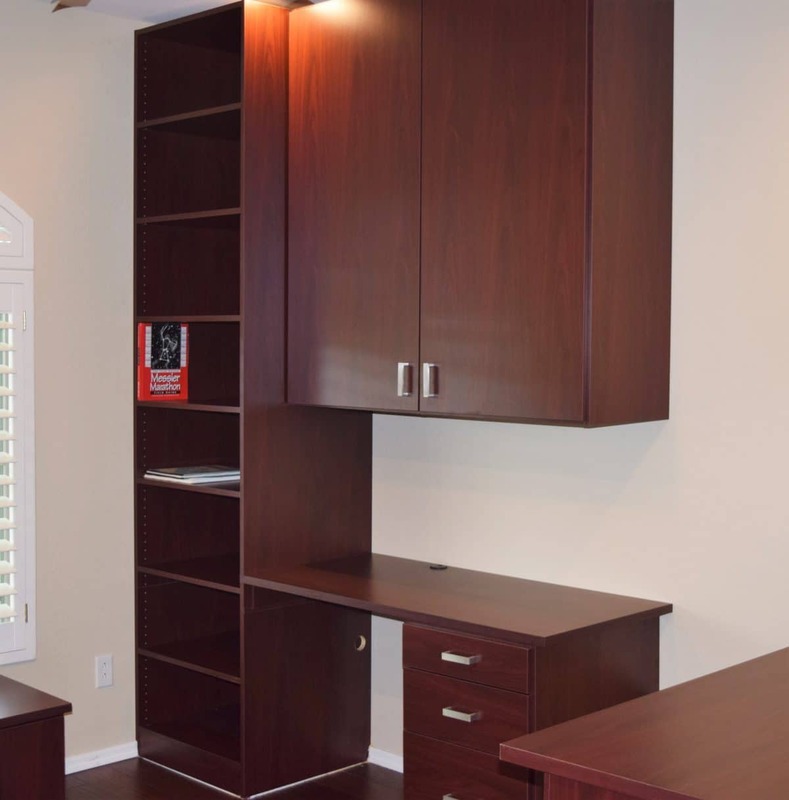 We specialize in space allocation and ensuring the design and style of the office portrays the image you want associated with your brand. 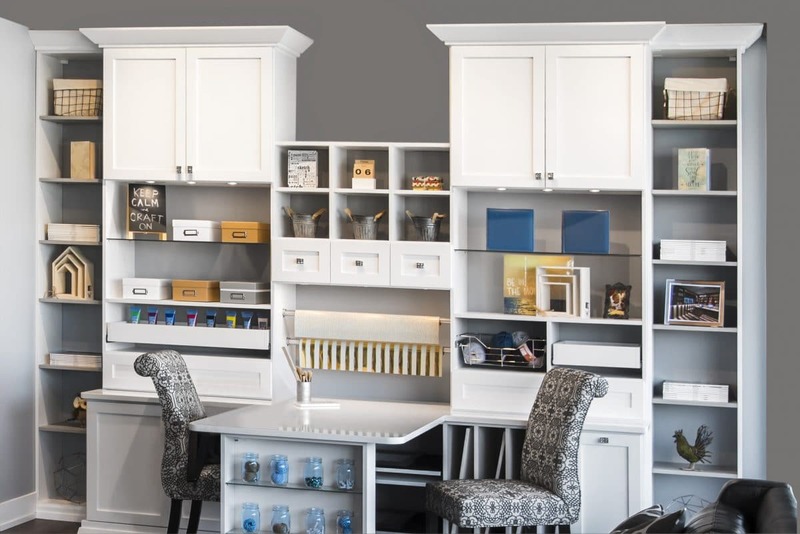 From medical offices to retail store shelving, we can assist. 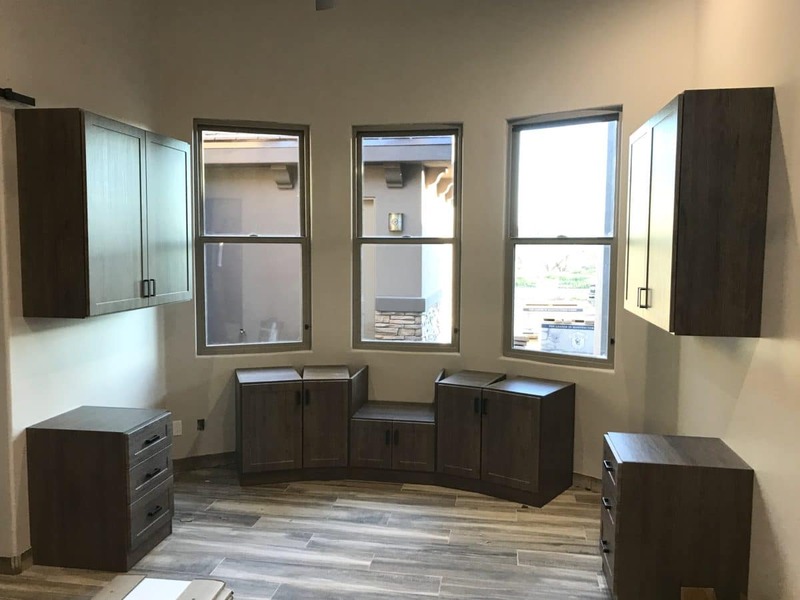 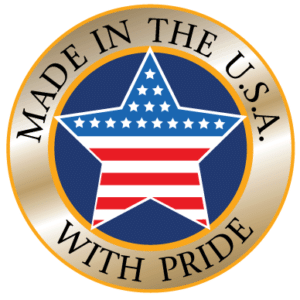 We can design and build checkout counters, wall-to-wall shelf units, hanging clothes racks, employee break rooms, reception areas, spa rooms, locker rooms, bars, libraries, mail rooms and much more. 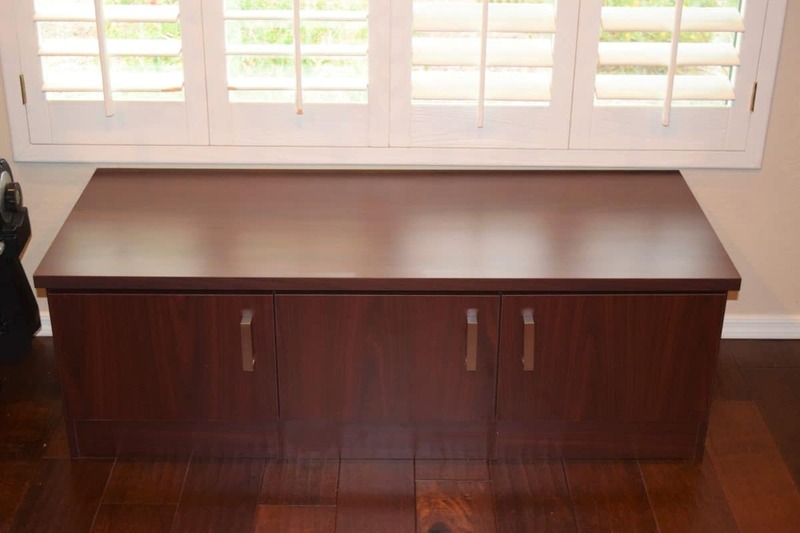 All doors and drawers include our standard soft close feature and our drawer boxes are constructed of high quality birch, using dovetail joints for strength. 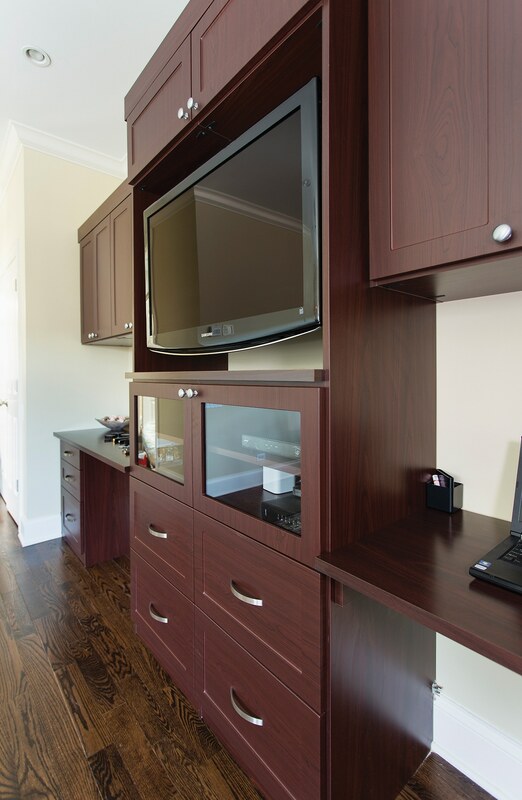 We offer over 30 colors and finishes to choose from and over 70 styles of hardware as well. 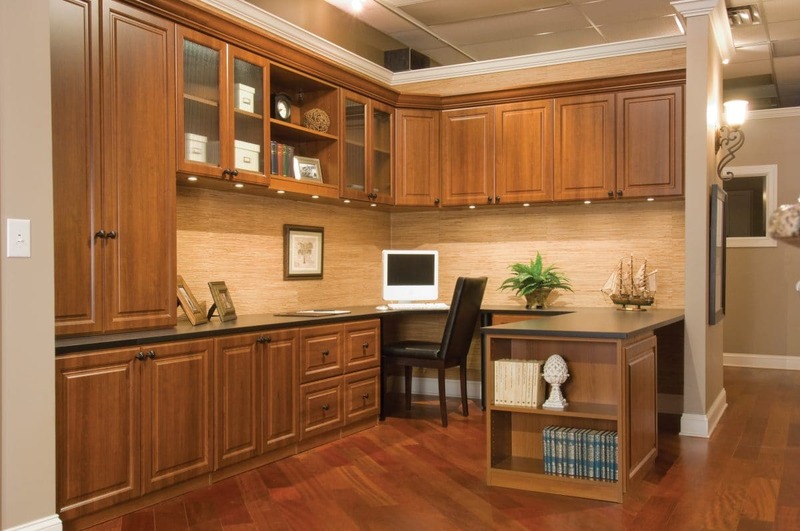 Our complete line of accessories offers the finishing touches to complete your office space. 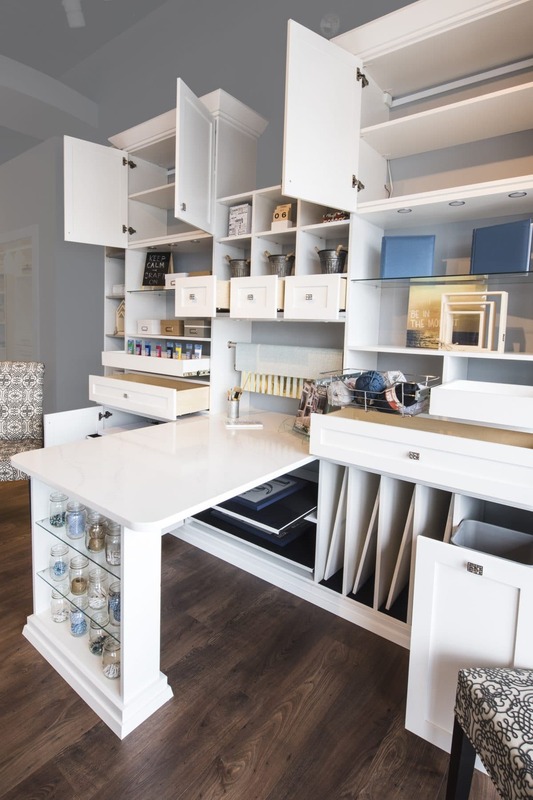 Having the proper storage and organization in your workspace will keep you and/or your staff organized, productive and motivated. 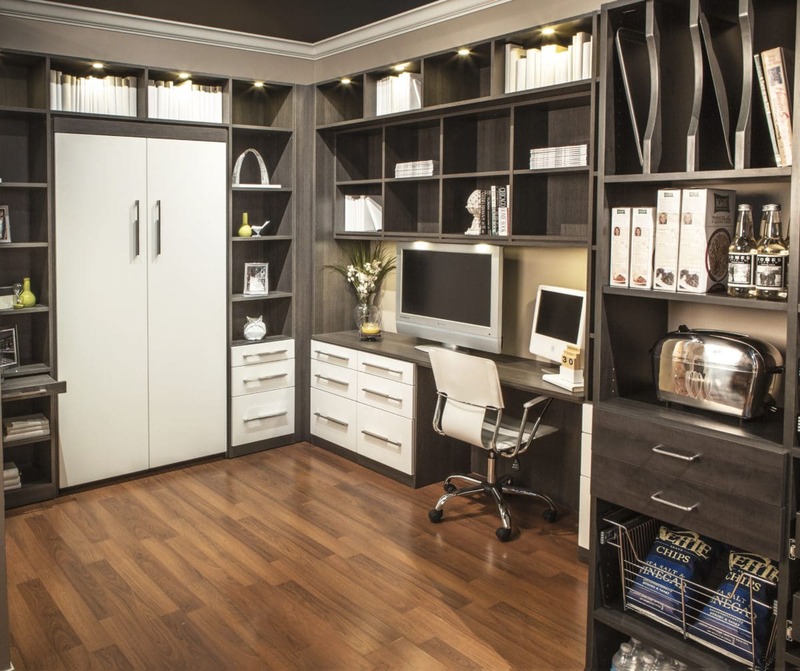 Isn’t it time to work more efficiently and comfortably? 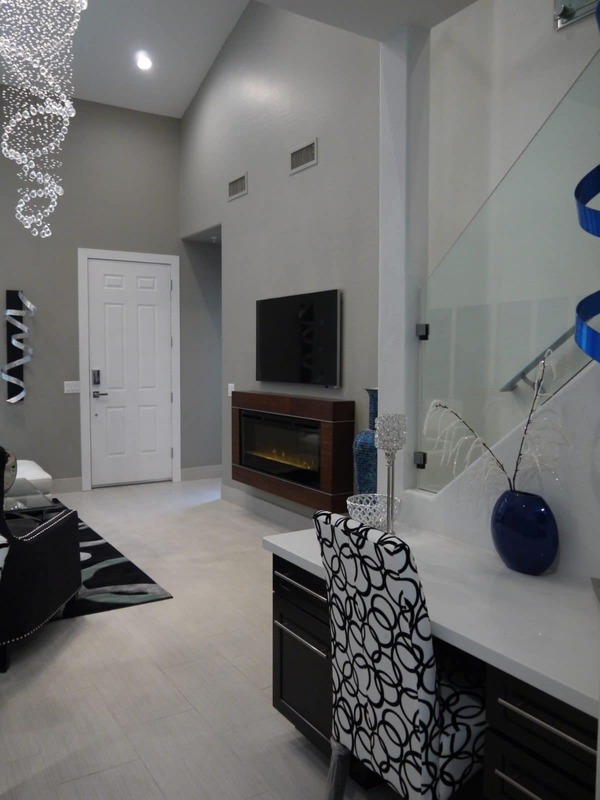 Download our catalog for inspiration or call 623-986-0644 to schedule your free consultation today. 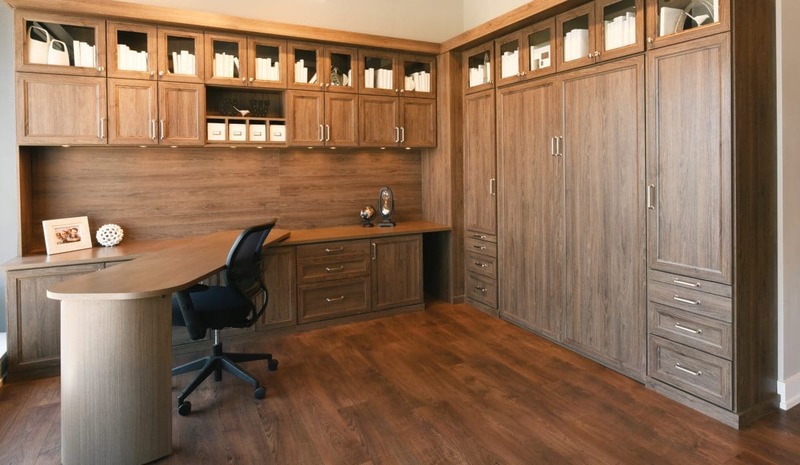 Discover what Austin-Morgan Closets can do for you and your business!